The Georgia Republic flag can trace its ancestry back to antiquity. 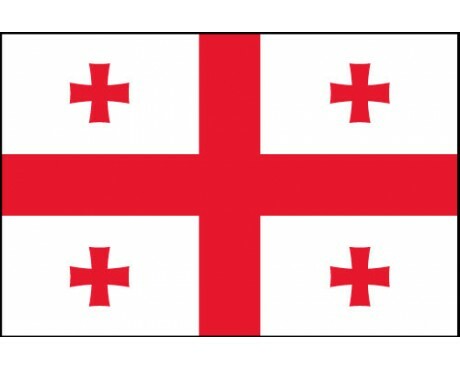 The modern flag of Georgia has a design that is derived from the flag of King Vakhtang I, who ruled in the fifth century. The flag's current design is approximately five hundred years younger than the oldest form, but that is still enough to make it one of the oldest flags in the world. The Georgia Republic flag has a white field that displays five red crosses. 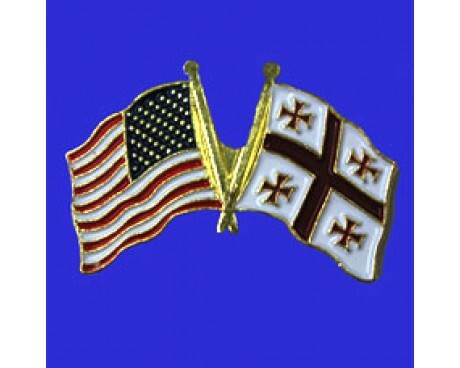 The largest cross divides the flag into four quarters, and each of those quarters contains one small cross. The cross was adopted by the nation's ancient rulers as a sign of their dedication to Christianity, and it remains on the modern flag as a symbol of the nation's long history. 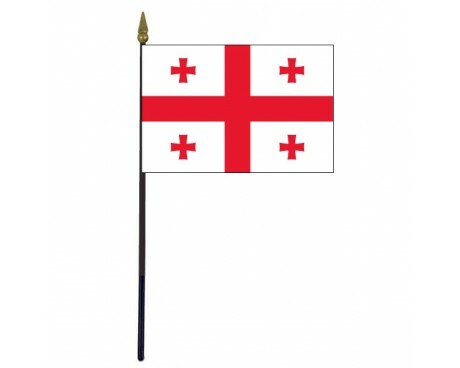 The first known flag of Georgia is the flag of Vakhtang I, who used a form of the modern flag that lacked the four small crosses. 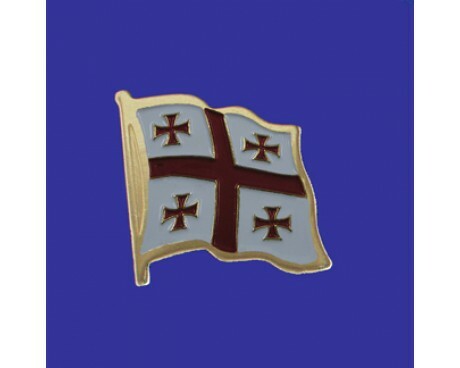 He was known for his strong attachment to the early Christian church, and his flag was likely designed as a demonstration of his devotion. The first mention of the modern flag dates back to 1008. 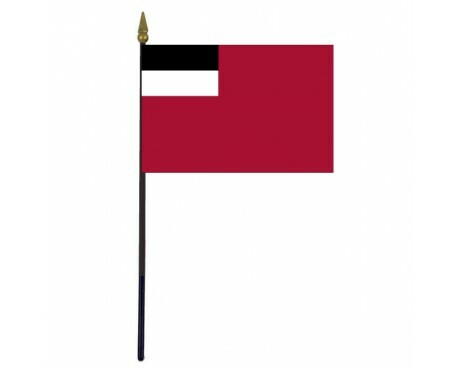 It is likely that the precise shade of red on the flag varied quite dramatically from one flag to the next due to the imprecision of medieval dying techniques, but the fundamental aspects of the design are the same. Some individual monarchs used flags of their own during their reigns, but the national flag did not change until 1762, when it became a white cross on a black field. It fell out of use in 1800, and it was not replaced until 1918. The 1918 flag featured a solid red field with a small square divided into black and white stripes in the canton. Georgia only used it briefly before the nation became a Soviet Republic and adopted a normal Soviet flag in 1921. The nation's flag changed several times during the Soviet period, but all of them featured a red field with an identifying emblem in the canton or along the top of the flag. The 1918 flag came into use again in 1991 after the fall of the Soviet Union, and it was replaced with the modern flag in 2004.